Huntington Beach is one of the seaside cities in Orange County, CA. According to the 2010 U.S. Census, it had a population of 189,992 at that point in time, which means it is the most popular beach city in the county, as well as the seventh in the Los Angeles-Long Beach-Anaheim area. The population is growing, with an estimated 200,809 people living there in 2014. It also has a 9.5 mile stretch of beautiful, sandy beach and is perfect for the surfing and beach community. In fact, it is affectionately known as “Surf City”. Huntington Beach Office Buildings for Sale & Lease – Should You Buy or Lease? If you are interested in office space, whether to be used as an investment or for running a business out of, you have two broad choices: buying or leasing. There are pros and cons to both of these options. Your costs are fixed, which means you are clear when it comes to business expenses. You can claim substantial tax deductions, including property taxes and mortgage interest. You can accumulate funds, as the property is likely to appreciate over time. Not having much flexibility – if your business contracts or grows substantially, you will need to sell the property to move to another location. Having high upfront costs – you will need to pay at least a 30% down payment on the purchase price. You will also have maintenance, appraisal, and other property costs to take care of. You can get a prime property, which is important for enhancing your public image. You have more working capital because you don’t have to pay for a large down payment. You can focus on actually running your business because you don’t have to worry about property management. The average office property asking price, sale trends, in dollars per square foot for the county were $311.66, a three month decrease of 0.2%, but a year-on-year increase of 11.3%. This is lower than the metro area ($317.28), but higher than the state ($226.32). The index of total available office spaces for sale in the metro area that includes Huntington Beach is 34, which is a 6% increase over the past three months, but a 3.7% decrease year-on-year. The index of total number of listings of office properties for sale in the metro area that includes Huntington Beach is 35, which is a 5.5% increase over the past three months, but an 8.4% decrease year-on-year. The profile view index for office properties for sale in the metro area that includes Huntington Beach is 138, which is a 19% increase over the past three months, and a 14.5% increase year-on-year. The index of total square feet of available office properties for sale in the metro area that includes Huntington Beach is 36, which is a 1.8% increase over the past three months, but a 19.5% decrease year-on-year. The average rent for office space for lease in Huntington Beach expressed in dollar per square foot per year is $24.30, which is a 2.4% increase over the past three months, but a 0.2% decrease year-on-year. This is the same as the county ($24.3) area, lower than the metro ($25.41) area, and higher than the state ($23.08) area. The index of total number of office spaces for lease in the metro area that includes Huntington Beach is 61, which is a 1% increase over the past three months, and a 3.1% increase year-on-year. The profile view index for office spaces for lease in the metro area that includes Huntington Beach is 115, which is a 49.7% decrease over the past three months, and a 28.4% decrease year-on-year. 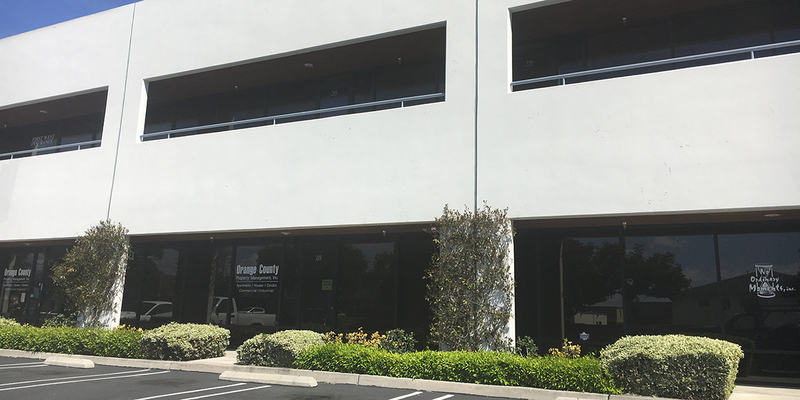 The index of total square feet available for office spaces for lease in the metro area that includes Huntington Beach is 58, which is a 3.7% decrease over the past three months, and a 12.4% decrease year-on-year.